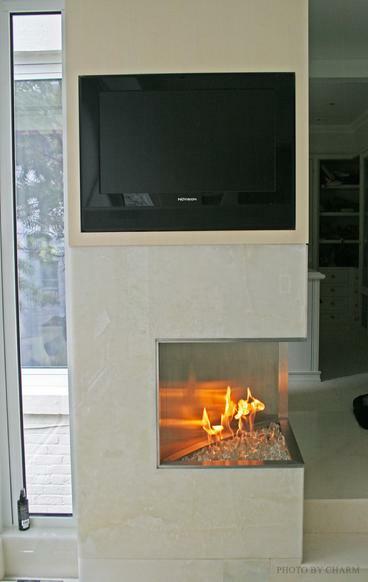 Gas Fireplaces come in hundreds of sizes and styles, one of which is sure to fit your budget and decor. Gas Fireplaces are designed to look like wood burning fireplaces, modern designs have simulated logs and flames that cannot be distinguished from the real thing! 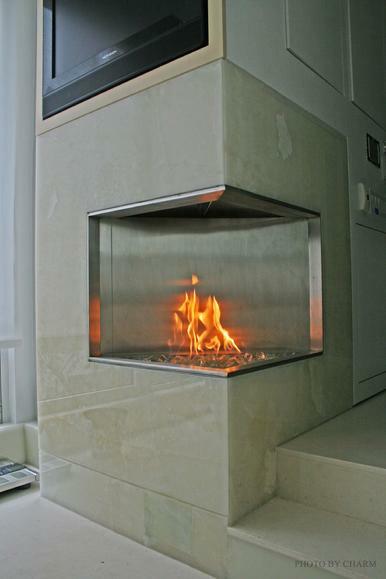 Gas Fireplaces are not only nice to look at - they can also provide an increased sense of heating security since they operate without electricity. This can be very convenient during a black/brown-out in the winter-time. Direct Vented Fireplaces and stoves offer an interesting and viable option - A chimney to the roof is not needed, It can vent horizontally through just about any exterior wall. A direct vent pipe is typically two pipes, one inside the other. The outer wall pulls in air from outside to be used in burning the gas fuel, while the inner pipe then returns the flue exhaust back outside. This “sealed” system is very efficient and safe, because no air from inside the home is being used for combustion. It also allows for many finishing options. Top Vented Gas Fireplaces and Stoves are designed to vent through the roof, similar to the way wood stoves and wood fireplaces do. They can vent through a properly sized & lined masonry chimney or through a properly insulated and installed metal chimney. Most units require a 4” to 8” diameter piping to properly vent the leftover combustion products. When installing one of these units into an existing larger chimney, the chimney should be sized properly by lining it with an approved liner, properly sized to the unit/appliance. Remote controls, wall thermostats, blowers and wall switches are just some of the popular options available for Top Vent Gas Fireplaces.